Weisen-U has almost sixty years of history beginning from its research and development stage till now. Its fine formulation and excellent efficacy has cured numerous gastric disease patients. Thus it was widely recognized as a valuable gastrointestinal drug by medical fields. With its unique dual layer, a Weisen-U tablet can address different symptoms at the same time. Apart from effectively neutralizing the gastric acid and promoting digestion, it also relieves discomforts caused by indigestion, stomachache, heartburn, inappetence and chest nausea. With just one tablet, it can heal the damaged gastric mucosa, address hyperacidity, indigestion and relieve stomachache. 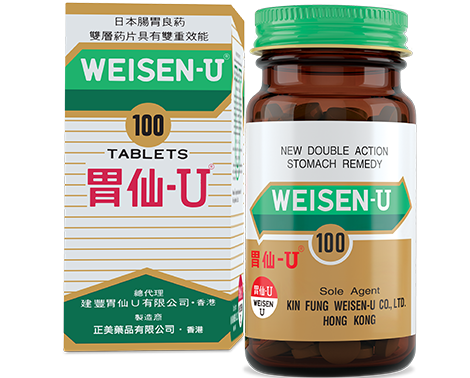 Trusted by the customers, Weisen-U has received numerous awards in Hong Kong and Mainland China in recognition of its unrivalled quality. Weisen-U is the No. 1 selling gastrointestinal drug* in Hong Kong in 2014 to 2018. 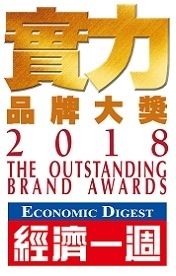 It was granted the Winner of “Economic Digest Outstanding Brand Awards 2018” (western medicine category) by Economic Digest in 2018. It received the “Most Favourite Gastrointestinal Product Award” (western medicine category) from CRcare in 2016-2018. 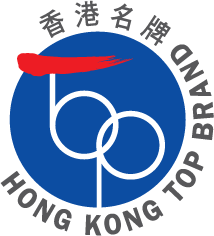 It was conferred the “Hong Kong Top Brand” by Hong Kong Brand Development Council and The Chinese Manufacturers' Association of Hong Kong in 2017. It received the “Diamond Award” in the Watsons' Health, Wellness and Beauty Awards 2016. 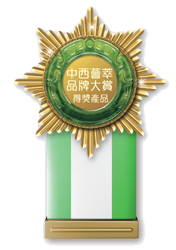 It was named the “Most Recommended Brand by Drugstore Shopkeeper” (gastrointestinal drug category) by China Pharmacy in 2007, 2009, 2010, 2011 and 2016.